Middletown, R.I. resident Sheila McCurdy was named Rhode Island Boater of the Year this week by the Rhode Island Marine Trades Association at opening-day ceremonies of the Providence Boat Show. She was given the group&apos;s John H. Chafee Award, named after the former Rhode Island governor and senator. 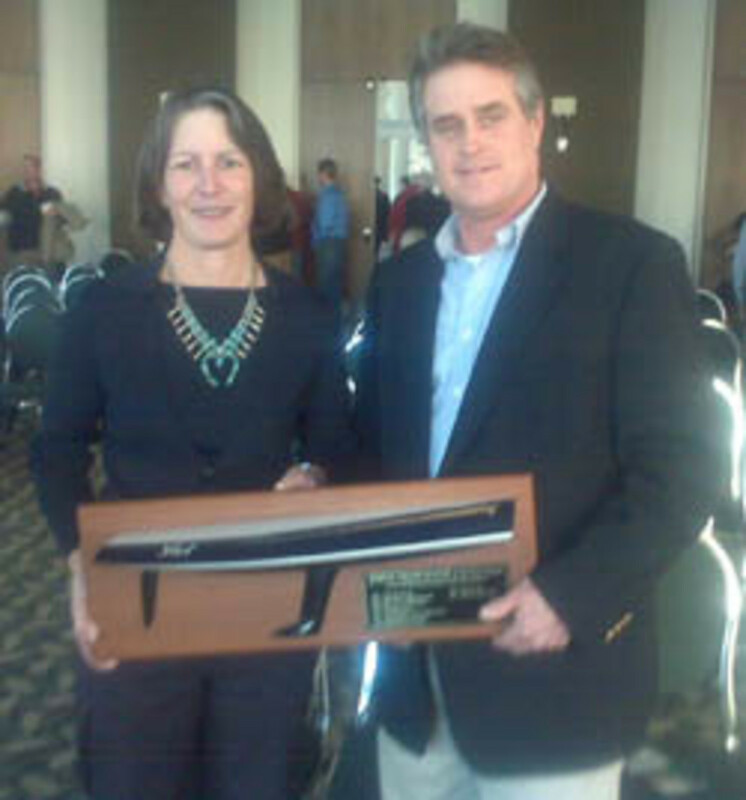 "Sheila has excelled in sailing individually and has given an equal amount back to recreational boating through her work and volunteer pursuits," said Tom Rich, president of New England Boatworks and president of the association, in a statement. "She is a credit to the very image of the &apos;Rhode Island boater&apos; and a force who makes the country - indeed, the world - take notice of our state in the area of boating," he added. Besides a long list of personal achievements in sailing, McCurdy is the first female commodore of the Cruising Club of America - well-known for running the Newport Bermuda Race with the Royal Bermuda Yacht Club. She also is a trustee of the New York Yacht Club, and for many years she has been a member of U.S. Sailing&apos;s training and safety-at-sea committees and chairwoman of the organization&apos;s national faculty, which creates the instructional standards and training materials for boating instructors and students nationwide. She has been an adviser to the U.S. Naval Academy sailing program as a member of the Fales Committee for 15 years and she is an adviser to the Maritime Studies Program at New York Maritime College.